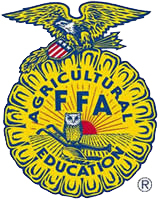 4H & FFA members must be present and have charge of their animals at the time of judging. Animals must be owned, identified and tagged by May 15. A maximum of four animals may be tagged and a maximum of two animals shown. All market swine must have an official Certificate of Veterinary inspection. All market animals will be weighed at the time and place designated by the livestock sale committee. Prior to judging, all swine shall be washed and properly fitted. If clipped, must be 3/4” or longer. Fair will only furnish a reasonable amount of initial bedding for animals housed in the sheep barn. Swine bedded in the swine barn must be bedded with pine shavings only. No straw or sawdust permitted. Animals to be sold at the Livestock Sale must weigh between 220 to 290 lbs. at weigh-in.